This book is a quick read, about 132 pages of content and 25-ish of index, depending on the format you read the book and the font size you select. 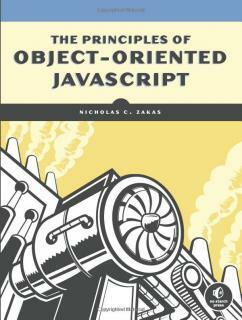 The book covers primitive types, reference types, built-in types, function declarations vs function expressions, objects in general, property attributes, object constructors, object prototypes, property attributes, inheritance and various object patterns. The code examples are clear, the writing voice conversational. I had a couple "Ohhhhhhhhh!" moments, which were fun, with a lot of head-nodding-yep-I-knew-that moments, too. I liked the book. Recommended. Barring a browser plugin, this'll do. Love me those one liners! Have a string of a function name and want to call the function whose name is the string. Use is() to check if a class exists on a jQuery element.